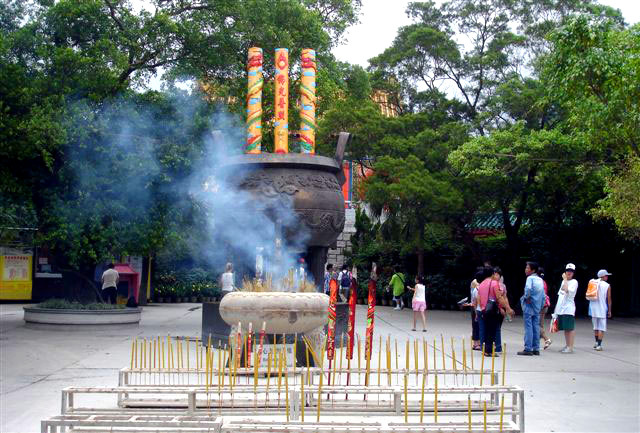 Po Lin Monastery is located on the Ngong Ping Plateau, on Lantau Island, Hong Kong. 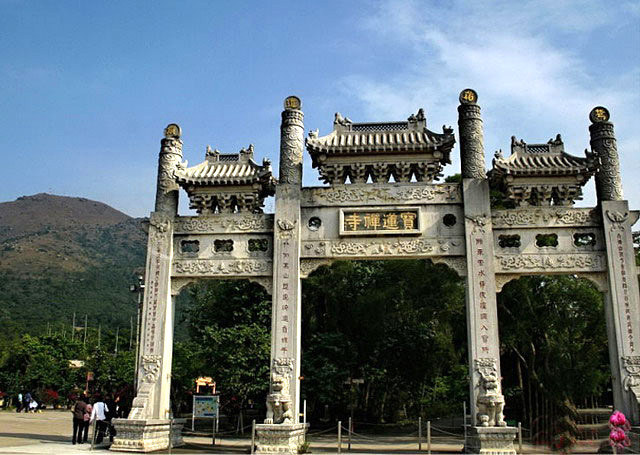 The monastery was first constructed in the year 1906 by three visiting monks from Jiangsu. They named the monastery "The Big Hut", however, later in 1924, the name was changed to Po Lin. Po Lin literally translates into 'Precious Lotus Template'. In the main temple hall are houses three bronze statues of Buddha - past, present and future. You can also have a look at the Buddhist scriptures here. 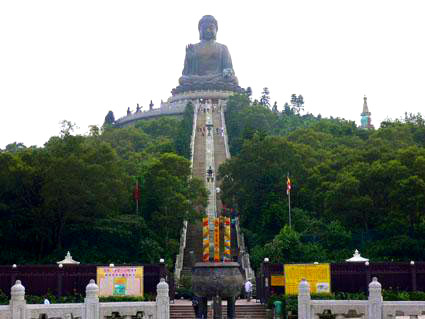 What, however will catch your attentions most in the monastery is the Tian Tan Buddha, also known as the Giant Buddha seated on a hill top. From the gate of the temple itself, you can see this magnificent copper statue of seated Shakyamuni Buddha which took a full ten years to get completed (unveiled in 1993). 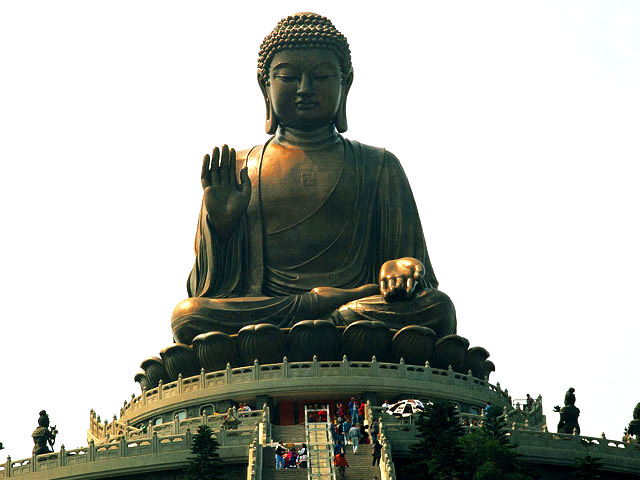 The statue is 34 m tall and happens to be the tallest outdoor seated Buddha image in the world. The weight of the statue is around 220 tonnes. At the base of the statue is the three storey exhibition hall housing a huge bell engtaved with Buddhist figures and scriptures. The bell is operated through a computer and every seventh minute, you will hear it ringing. In total, the bell rings for 108 times in a day and symbolises the relieving of 108 vexations. The beauty and spleandour of the statue is beyond words. The eyes, lips, the bent of the head and the raised right hand blessing one and all combine to instill a feeling of spirituality, tranquility and awe simultaneously in the onlookers. The 268 stairs climb up the statue is worth all the efforts that you put in. From atop the green island seems extremely mesmerising.